Half menswear inspired, the other half witch vibes. 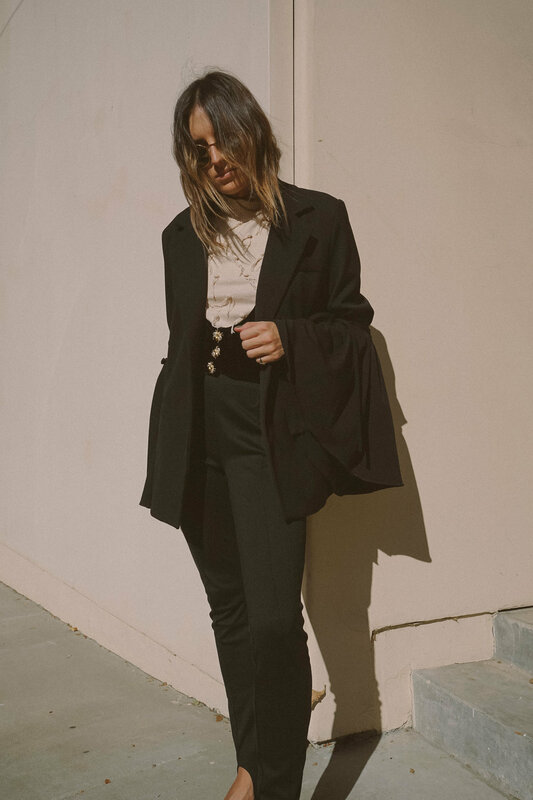 Layers of mostly black, and a blazer with the most dramatic of sleeves make an otherwise basic pairing a bit more interesting. And how good are the bug buttons on the velvet vest underneath?! Also loving stirrup leggings as a layering piece this season!